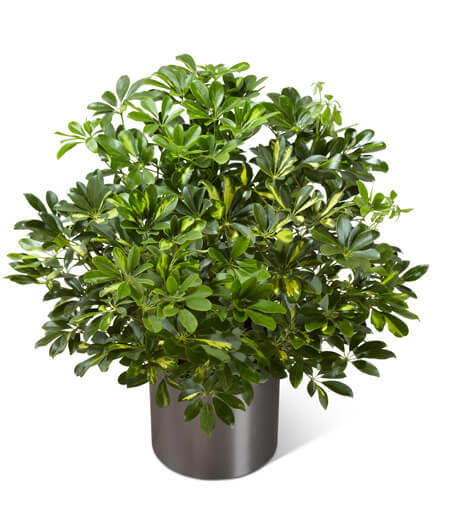 The Schefflera Arboricola, or more commonly known as a Dwarf Umbrella Tree, is a lush and vibrant way to bring nature into any space. This incredible plant displays its beautiful foliage presented in a round graphite container for a look of modern sophistication, making it an ideal plant suited to fit into any interior decor. 1" plant.